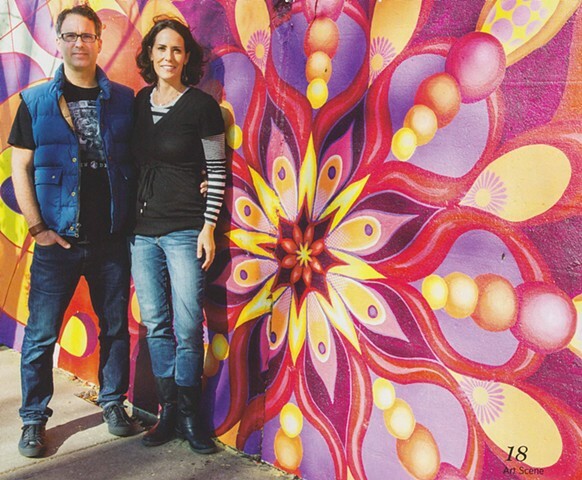 Mix Masters is the creative collaboration of artists Dustin Harris and Lea Pinsky. Together, we have a passion for working for and with communities to beautify public spaces. Since 2005 we have led numerous large-scale mural projects in schools, community centers, and public spaces around Chicago. Please have a look at our portfolio here, and contact us with your comments and interests. We are happy to consider projects of all shapes and sizes. Thank you for visiting!